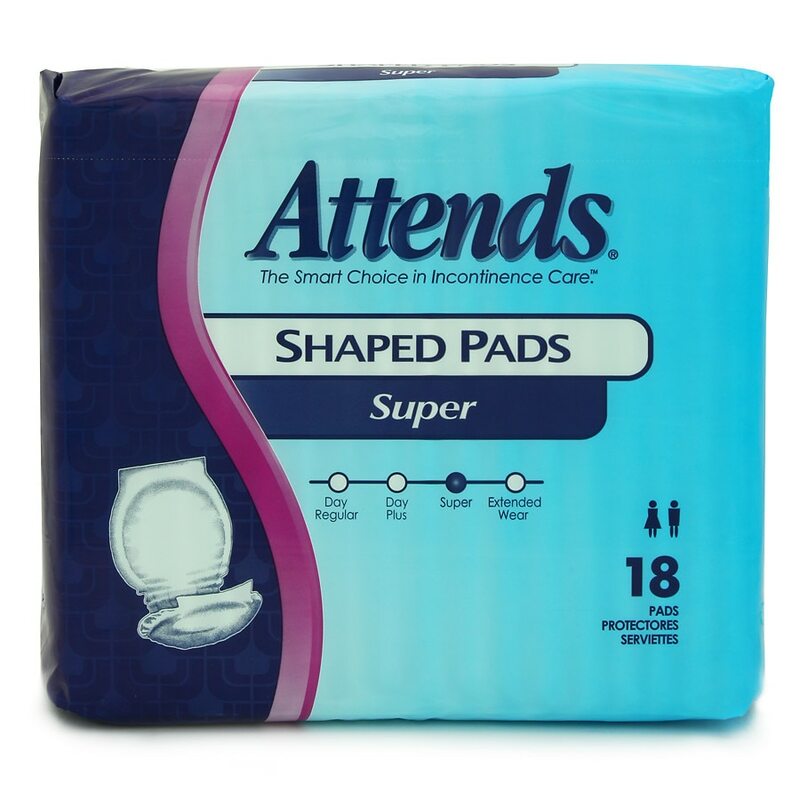 Attends Shaped Pads are an everyday, unisex choice that offer both ambulatory and sedentary individuals complete front-to-back coverage for heavy to severe incontinence. Worn with mesh or cotton pants, they provide the same reliable containment as briefs without the side panels. Leg gathers and contoured shape for leakage protection and form-fitting comfort. Soft, cloth-like inner liner and outer covering for comfort, discretion and skin wellness. Triple-tier moisture locking system (cellulose fibers, microporous acquisition layer, super absorbent polymer) for exponential improvements in absorbency while promoting skin health and managing odor. Hold-in-place adhesive patch (except SPNT).